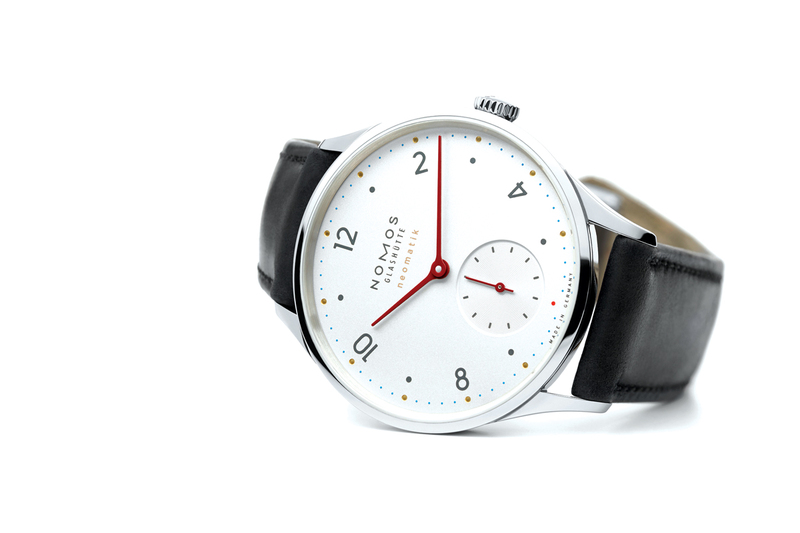 As the reputation of Nomos continues to grow internationally, the company is increasingly heralded as a beacon of German watchmaking excellence. 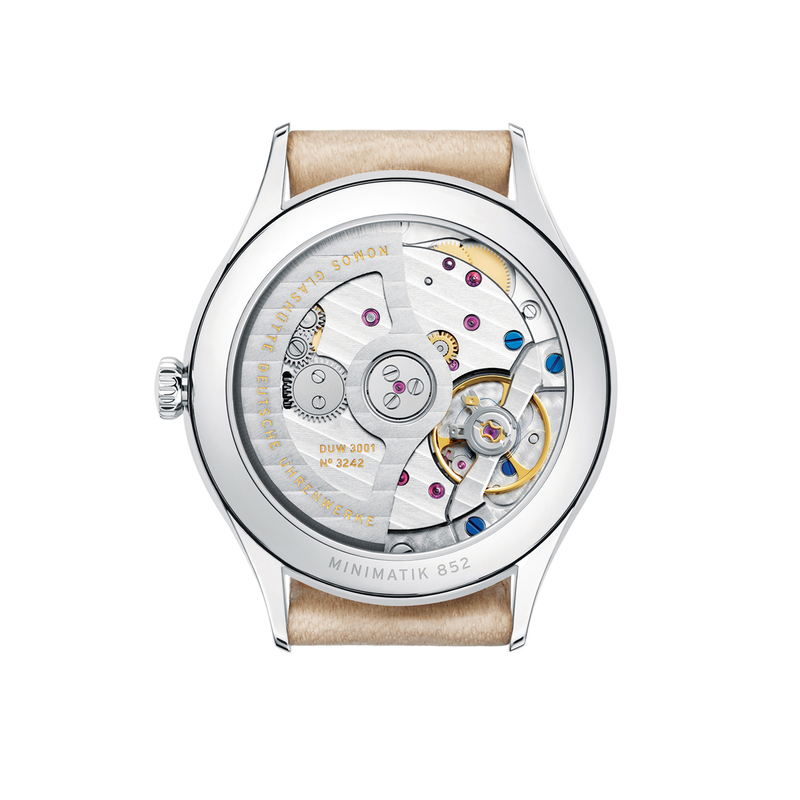 In equal measure, advocates praise the brand for its innovative movements that can only exist thanks to its manufacture in German watchmaking’s heartland, Glashütte, as well as its minimalist case and dial designs that are a product of its Berlin-based creative hub. 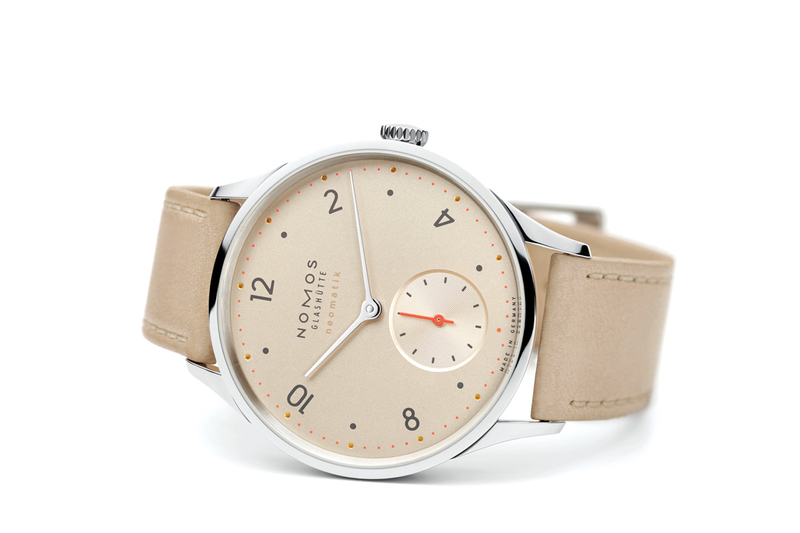 Often categorised in the media as “Bauhaus”, Nomos prefers to say that its design principles are an extension of the “Deutscher Werkbund”, an early 20th-century movement that aimed to combine artisanal crafts and mass production, thus establishing the principles that allowed the Bauhaus school to come into existence. 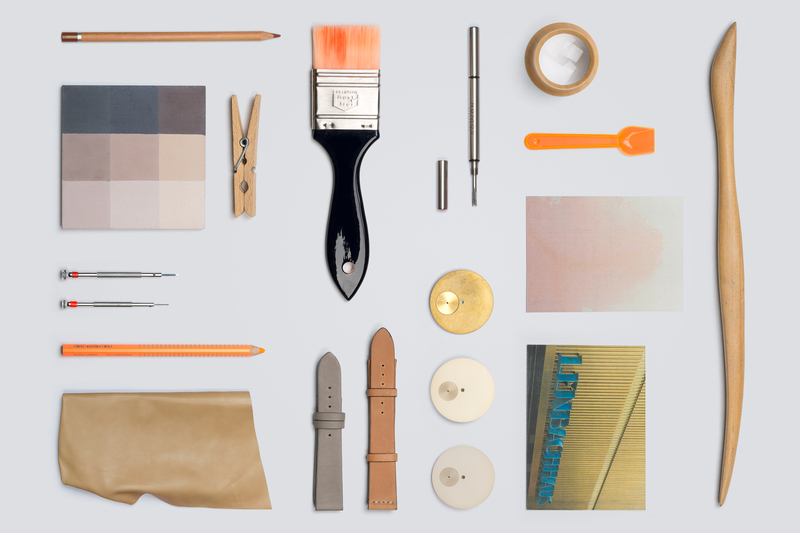 Closely linked to the English Arts and Crafts movement and the work of William Morris, defining Nomos within the boundaries of Deutscher Werkbund immediately gives both the design and purpose a more international flavour. 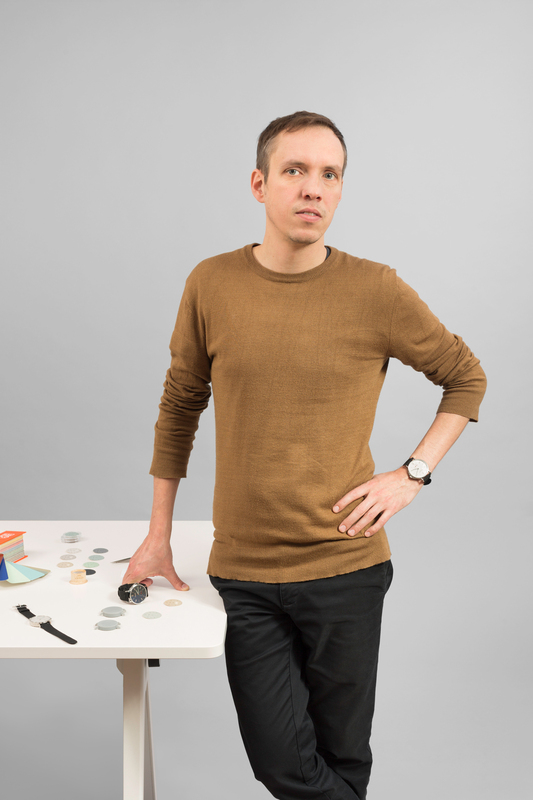 As an external product designer, Simon Husslein works on projects ranging from furniture to installations and spatial designs. 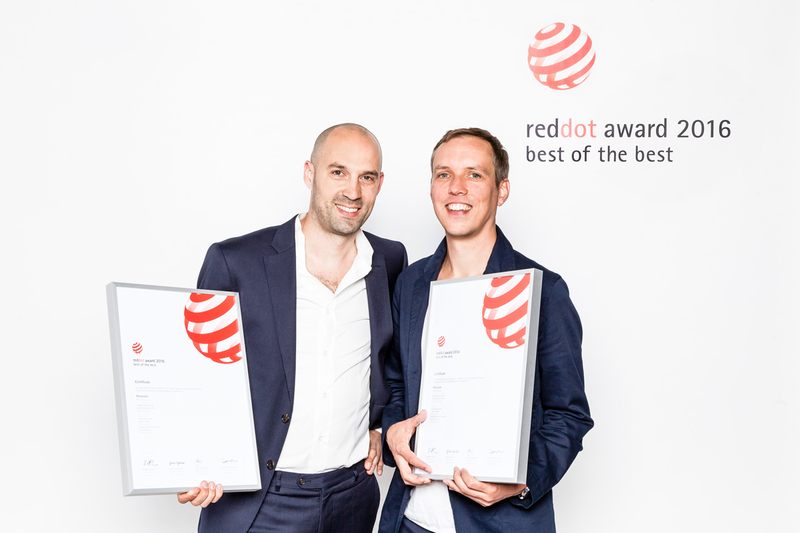 Initially a student at Darmstadt University of Applied Sciences, Husslein went on to work at Studio Hannes Wettstein before enrolling on an MA course in Design Products at London’s Royal College of Art. “The course was run by Ron Arad, who was amazing and had a huge influence on me, as did many of the tutors,” recalls Husslein. But the main inspiration came from other students and the impact of being squeezed into this crazy building next to Kensington Gardens with 1,000 really talented people from all fields. There was an insane density of brilliance – I get goose bumps thinking about it. Following my two years in London, I could say with clarity what I liked and didn’t like. I could make a decision, hold opinions. In the style of Gérald Genta, Husslein is very much a designer- for-hire, and on the often-maligned merits of bringing external product designers into the watchmaking fold, he is thoughtful. “There are necessarily two sides to producing a modern watch,” he says. “I have huge respect for watches that have evolved from the engineering and history side, but today marketing is the driving force in many companies, so engineers being paramount is not always the case. 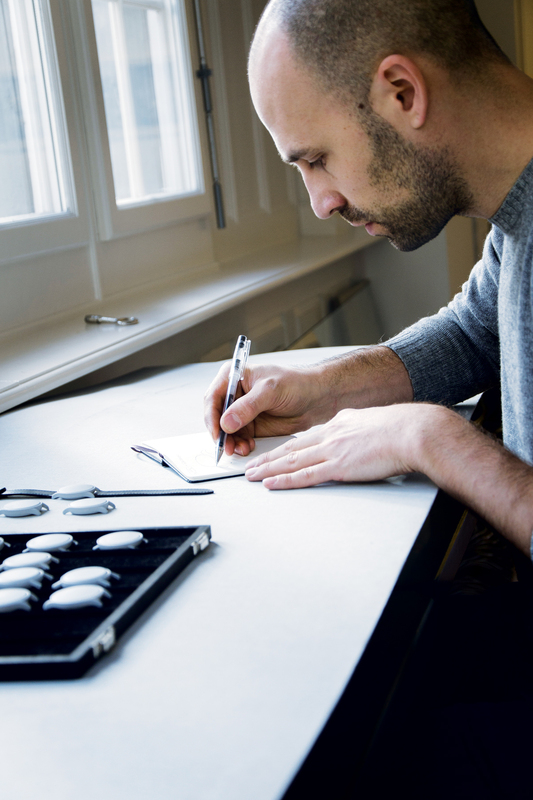 Although Husslein admits that the Berlin-based design is an important element at Nomos, he points to the Glashütte manufacture and its in-house capabilities as evidence of how seriously the brand takes watchmaking development. Not least among the brand’s technical achievements is the “Swing System” introduced in 2014 – a true in-house escapement (including the escape wheel and pallets) and a feat that few manufacturers have the know-how to complete. “It is important to keep the manufacture in Glashütte,” says Husslein, talking about design and watchmaking being split between two centres. “The relationship between countryside and mechanical work is an historical one. 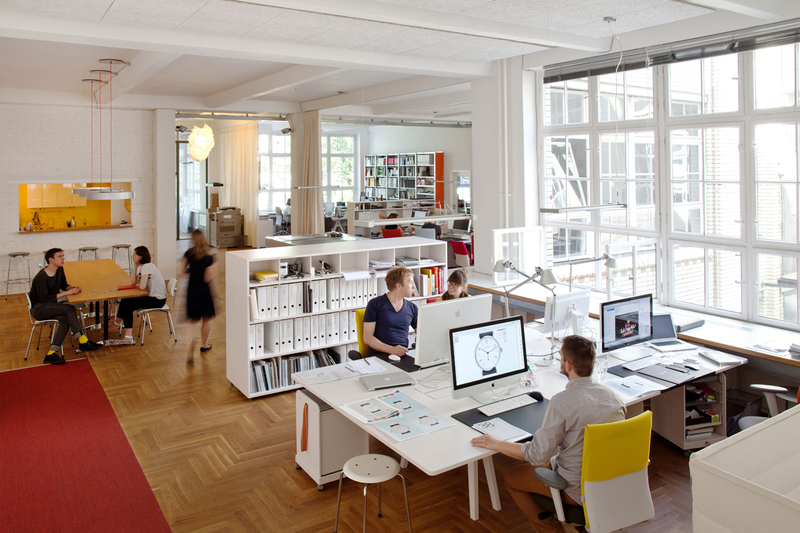 But equally it is necessary for creative minds to be closer to urban environments. It makes sense in terms of human resources and getting interesting people to contribute. 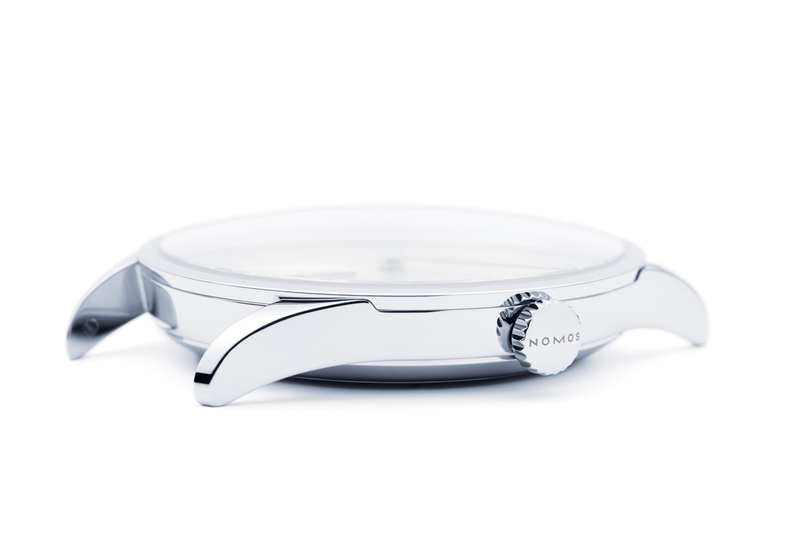 The first case design Husslein worked on for Nomos was the Zürich – although, as this was before he flew solo with Atelier Simon Husslein, it is still credited as a Studio Hannes Wettstein design. 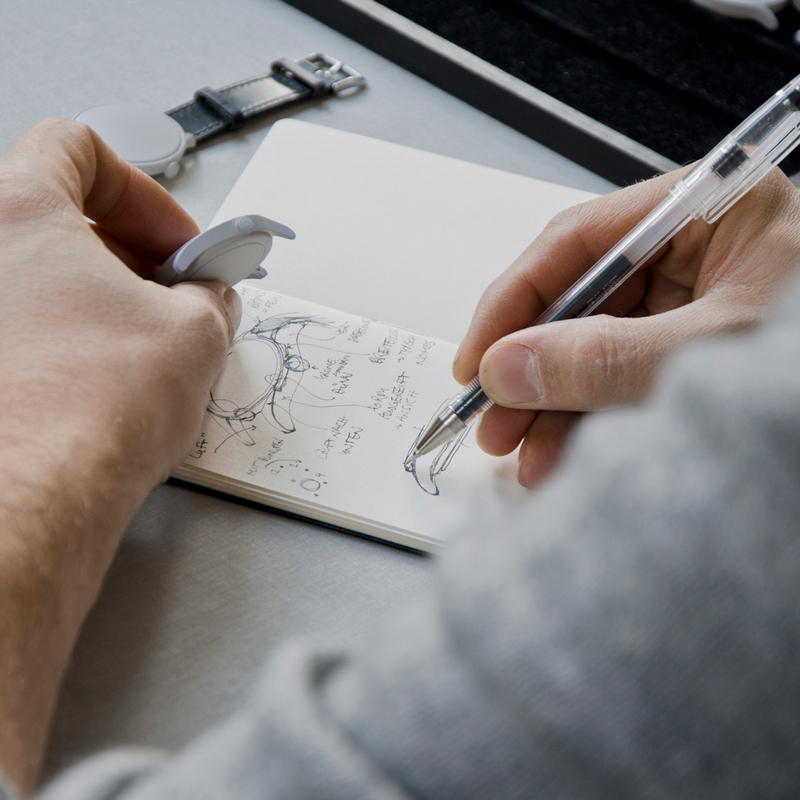 Concentrating on the tiniest details, the lugs were a major part of the design, with Husslein aiming to create an all-new shape with a unique re flection. 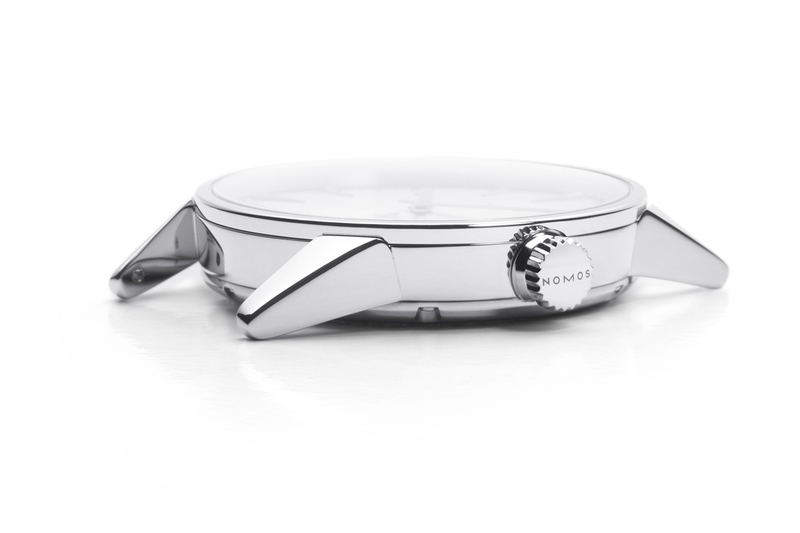 And from his first watch to his most recent, Husslein says that this year’s Minimatik is another evolution for Nomos case design as it brings in new elements, such as integrated lugs creating a less rational shape than in the past. Although not responsible for dial design per se, Husslein and his team always make suggestions for overall appearance. For the Minimatik, this involved collaborating with Nomos in-house designer Thomas Höhnel, a graduate of Berlin’s University of the Arts and Central Saint Martins College of Art and Design in London. 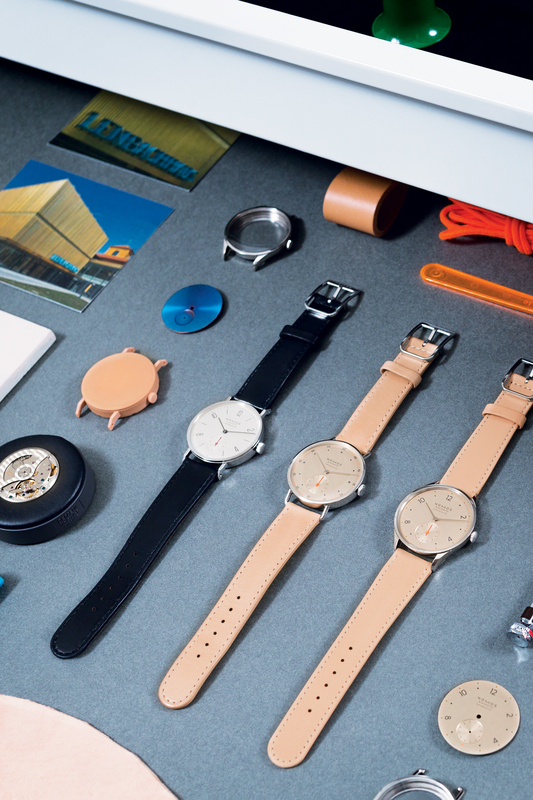 As well as designing the quirky Nomos sports watch Ahoi, Höhnel also works on the brands straps, buckles, tools and packaging.